How can you focus exclusively on what is important – the congress content? By choosing the right partner. You can’t just plan a congress with hundreds or even thousands of attendees on the fly. The preparations often take one to two years. 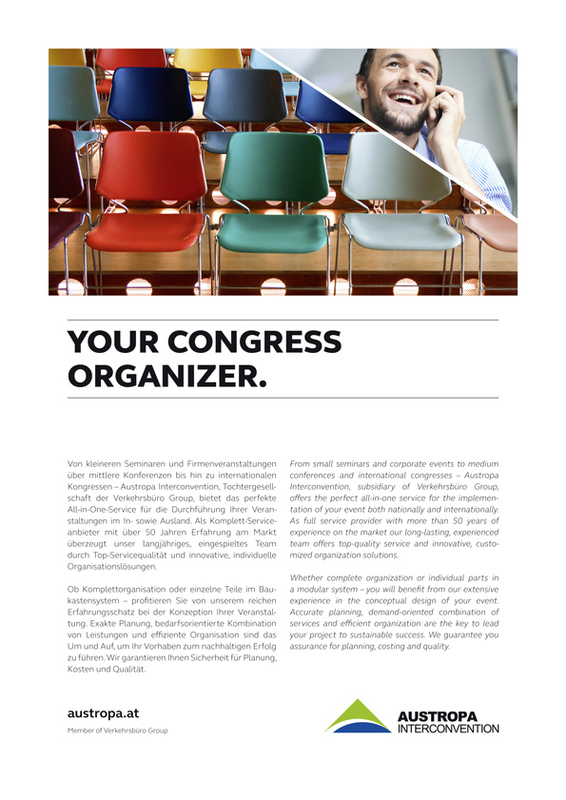 Precise planning and efficient organization are the alpha and omega of making your congress a success. Think of the subtleties of taxes and insurance. And the great art of not just staying within budget, but – if possible – effectively lowering costs. 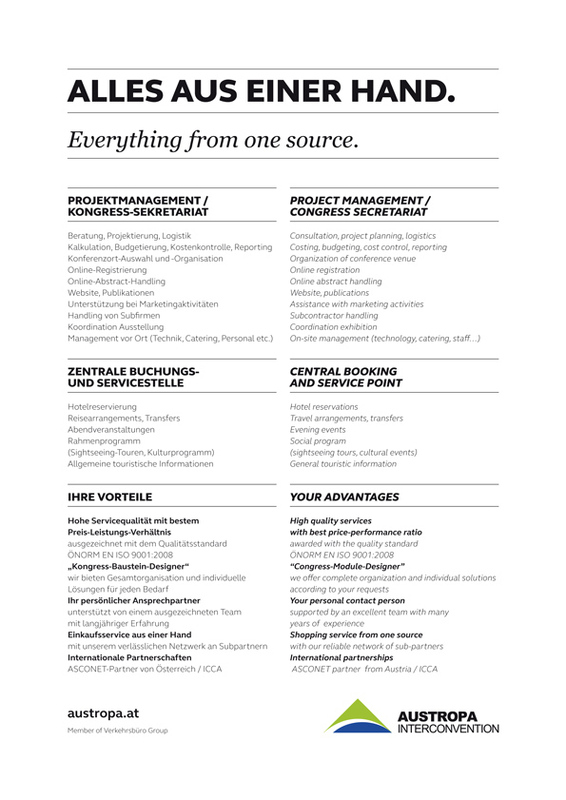 An experienced project manager will advise you, guiding and organizing from start to finish. And at that down to the minutest detail, because even when you think you have taken care of everything, you can bet that someone will show up unexpectedly, wanting to register on site for a seminar. Or they will have misplaced their documentation and need a copy in a hurry. This and much more is what we, as PCO or professional congress organizer, will be happy to do for you. Arrangements for congress technology, information technology, signage, etc. Ordering catering services such as coffee breaks, meals, etc. Ordering bags, guest gifts, tickets, etc. For every project, you have just one contact person who organizes everything for you. Supported by an outstanding team, he assists you from the word go as your project manager and takes care of everything for you. The organization takes place in the background. We do everything for you, from planning to execution. You can simply lean back and focus on what is really important. Your personal congress manager will take care of everything else. You simply buy a specified service for a specified time from us. You don’t need to worry about human resource planning, overtime, etc. Everything works the way it is supposed to. No unpleasant surprises or hidden costs. On the other hand there are many cost savings, thanks to our excellent contacts with other companies and the associated price advantages. Quality is the alpha and omega of our work. From organization to the freshness of the flowers at the gala dinner. We often hear the question “What does a congress cost?” There is no simple answer to the question. After all, we prepare customized proposals. For registration and handling abstracts, we offer packages with fixed handling fees. The packages booked most frequently by our organizers are shown below as a guide. The prices shown are approximate. For congress management services such as consulting, project planning, budget preparation and monitoring, marketing support, conference location management, discussion of procedures, coordination of publications and forms, on-site management, etc. you purchase a specific service from us. After agreement of the desired services and figures based on our experience, the organizational expense is estimated either in man-days or as a fixed lump sum. These prices are quoted exclusive of 20 % VAT.